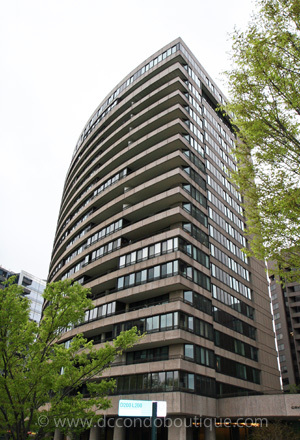 Drawing its name from a chandelier in the lobby of one of its first apartment buildings, Crystal City, Virginia, is a long narrow strip of land straddling Route 1 and stretching from Interstate 395 and Long Bridge Park south to Four Mile Run. The first apartment building in the area was named "Crystal House" because of an elaborate chandelier in the lobby. Subsequent buildings constructed used the same "Crystal" theme until the entire neighborhood picked up on the name. 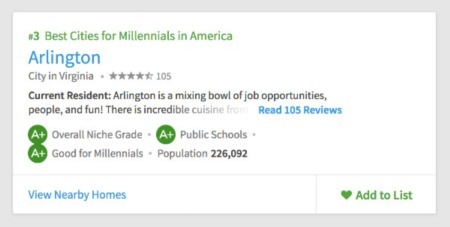 Constructed in the 1960s as a largely industrial area, Crystal City has now morphed into Arlington's largest downtown and is a thriving example of a live, work, stay, and play community. Home to 350 corporations, including the Department of Labor, and satellite offices of the Pentagon, 5000 hotel rooms and a wide array of shopping and culture destinations, Crystal City boasts a network of interior walkways.These walkways, integrated with office and residential high-rise buildings, make it easy to navigate its many attractions, including the Crystal City Shops and dining. In fact, residents living east of Route 1 can stroll north-south entirely underground -- ideal during snowy and rainy days. 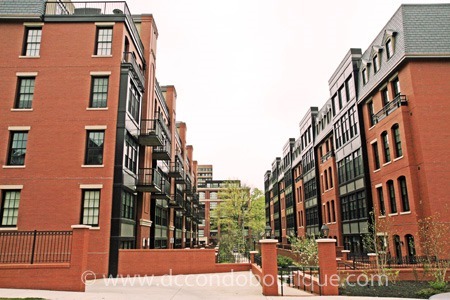 The residential lifestyle centers around apartment and condo living with many residents specifically choosing Crystal City because of its close proximity to Reagan National Airport, major employers, and other transit services. Others enjoy the ability to walk to work and take care of shopping on the way home while grabbing a quick bite at a local bistro. Properties range from multi-level penthouse suites to more traditional one bedroom, one bathroom configurations to a collection of studio apartments. Crystal City has a thriving arts scene which is not always well known outside the community. The award-winning Synetic Theater, started by Georgian artists when they moved to the U.S. in the 1990s, is home to four major stage productions a year. Performances focus on innovative fusion of drama, movement, dance and music. The Gallery Underground is part of the underground shops that originally opened in 1976 and boasts works from a number of established and emerging regional artists, including paintings, sculpture and pottery. Crystal Drive between 18th and 20th Streets, is the site of a weekly farmers market April November where regional farmers and bakers bring in flowers, plants, herbs, fruits and local baked goods. Another popular attraction is the Crystal City Water Park, creating a soothing backdrop of cascading water for area workers to enjoy their lunch at the many small tables scattered about the plaza. The signature park also plays host to a number of seasonal events including the Annual Bike to Work Week pit stop, Monday Morning Yoga, and Wine in the Water Park. 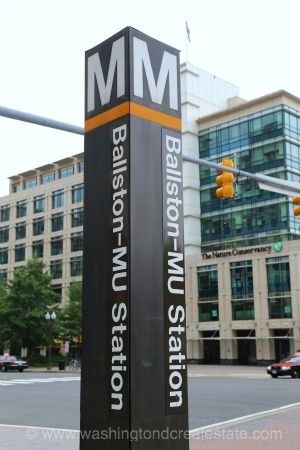 With its urban village setting and convenience to major employers and mass transit, Crystal City is increasingly becoming the community of choice for a new generation of residents.